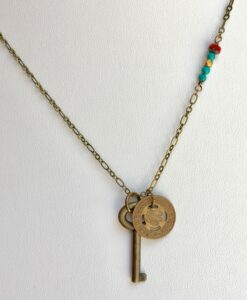 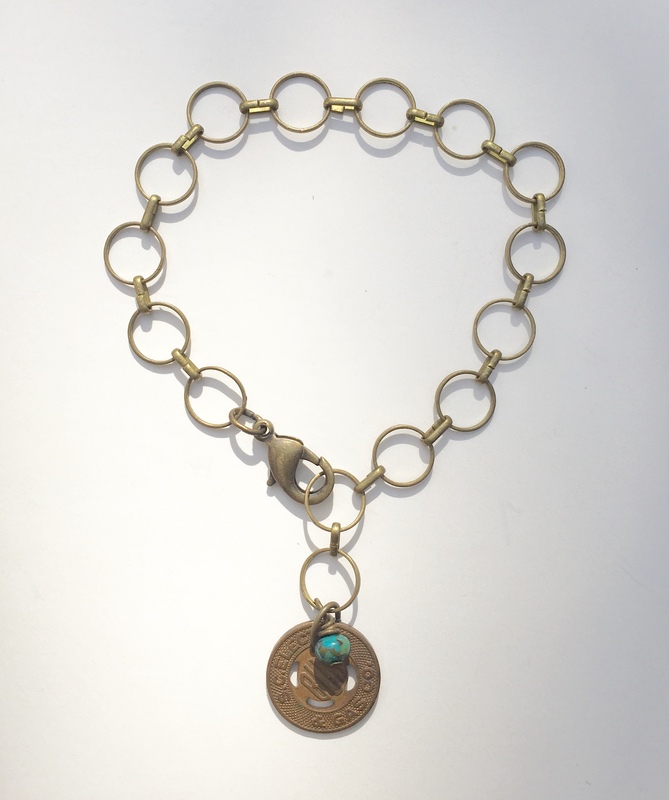 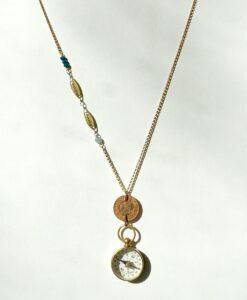 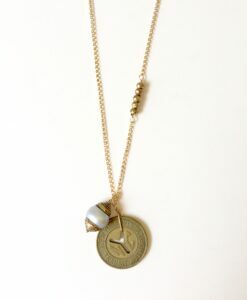 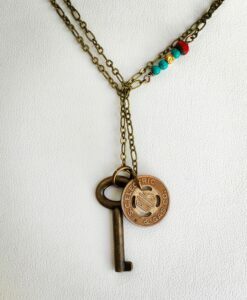 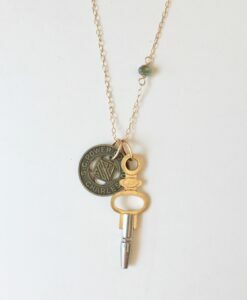 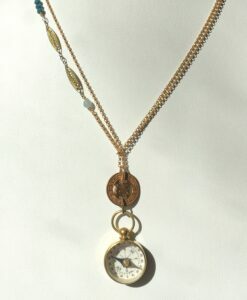 A vintage SC transportation Token in Brass hangs from a coated brass chain. 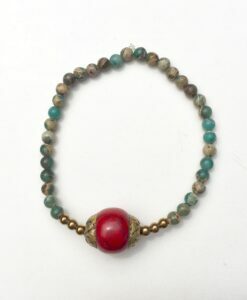 This can be worn up to 8 inches long. 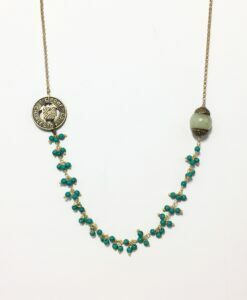 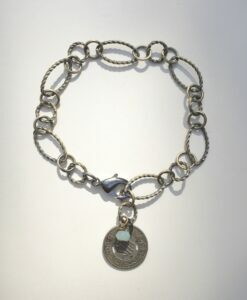 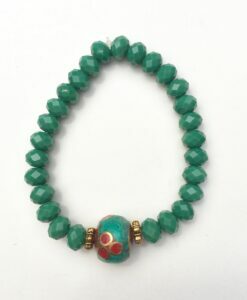 The small turquoise bead can be changed to a different color if you prefer.